Naughty By Nature Breaks Up? 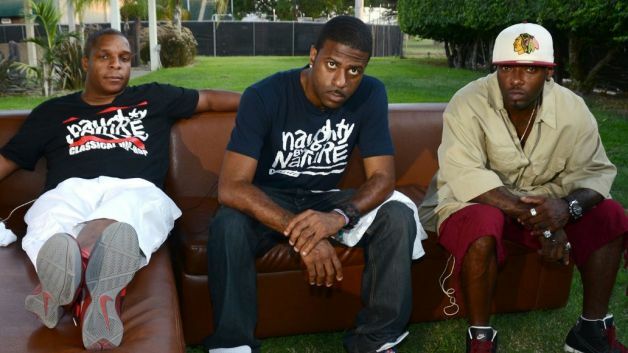 Naughty by Nature fans may never get to see them together again because a member has been booted from the crew. The New Jersey hip hop trio — Treach, Vin Rock (aka Vinnie) and DJ Kay Gee — has disbanded, news of which was made public by way of a pretty revealing Twitter post from Treach. Leaving no room for misinterpretation, Treach followed up the tweet with another angry proclamation. Vin reportedly posted a message on Instagram hinting to a split, and has since closed the account. Neither he nor Kay Gee has responded to this latest discrepancy but this isn’t the first time members have gone their separate ways. After more than two decades as a rap collective, Kay Gee fell out with Treach over money, leading to his decision to leave the group in 2000. They reunited six years later and dropped the 20th anniversary album Anthem Inc. in 2011. If the breakup holds weight, the timing couldn’t be more unfortunate. According to their website, Naughty by Nature is billed to perform in North Carolina May 18. This entry was posted in Entertainment News and tagged Beef, DJ Kay Gee, hip hop, Naught By Nature, Post, SMH, split, Treach, Twitter, Vinnie. Bookmark the permalink.